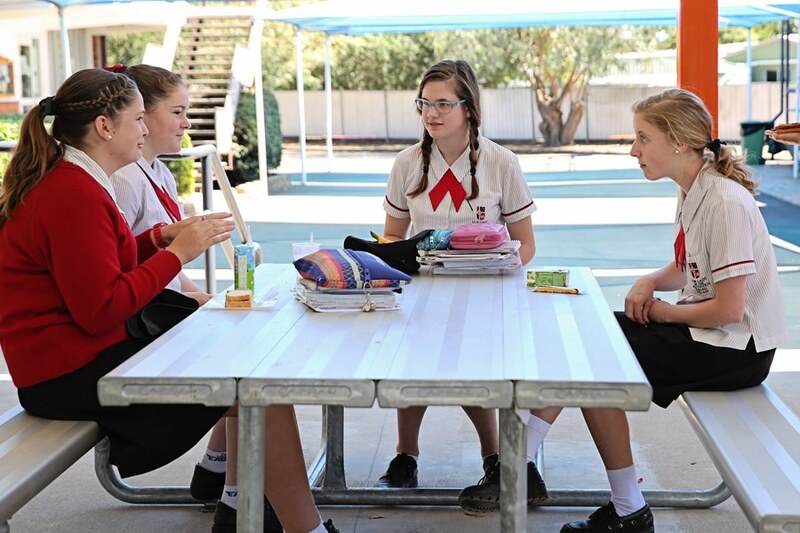 The Senior Phase of learning at Our Lady of the Southern Cross College encompasses Years 9 to 12. In the final years of school at Our Lady of the Southern Cross College, the qualities of gratitude, respect, perseverance, independence and excellence are as important as a good OP/ATAR. The focus of these years is to help students develop pathways for post-secondary school, whether it is further education or the job market. Our focus is providing opportunities to grow for each student. This includes learning of both subject specific content and skills, combined with the 21st Century Skills and dispositions they will need to be future ready for the changing world they will embark upon. This growth is further underpinned by the integration of Literacy, Numeracy and Information Communication Technologies within the curriculum. Our comprehensive Senior Years curriculum encourages collaborative and individual learning. Our students are taught to develop negotiation, problem-solving, communication, presentation, planning and researching skills, and are encouraged to participate actively and challenge themselves across our co-curricular programs. The College provides an enriching and vibrant wellbeing program that encourages positive relationships, a commitment to life-long learning and the development of leadership skills, resilience, spirituality and social responsibility. Our Lady of the Southern Cross College empowers and nurtures independent and thoughtful young men and women who are confident of their ability to make a difference in a changing world.